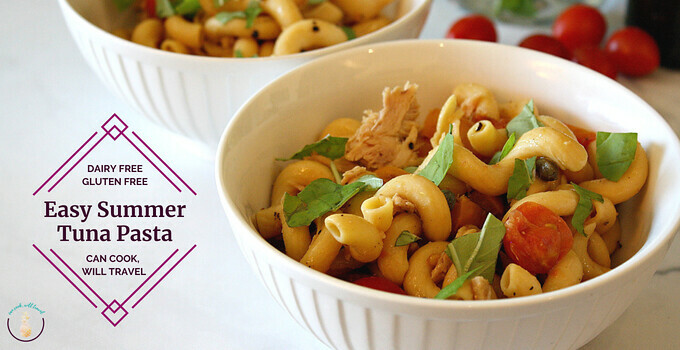 You are here: Home / Blog / Pastas / Tuna Summer Pasta Couldn’t Be Easier! Whew, I was gone most of last week hanging with my family, and I think I’m recovered now. My cousin’s daughter turned one, so we celebrated that adorable milestone, and I also got a MUCH needed haircut. Plus I fit in tons of family time, morning walks with my dad, and watched Jaws 2 in prep for Shark Week. And when I got back home, I had this Tuna Summer Pasta recipe on my mind. In the summer, I really love making a tuna pasta dish, and wanted to try a new variation on it. The one I usually do is raw, uses spaghetti, and has Parmesan in it. Since I like to eat pretty gluten and dairy free at home, then I found myself motivated to create a new Tuna Summer Pasta. I had picked up some Banza cavatappi pasta from Thrive Market recently, so that was my pasta base. Banza is great if you’re not familiar with it, and you prefer gluten free pasta. It’s made from chickpeas, and it comes in a variety of shapes. If you have another pasta you prefer, then totally use that. Another gluten free favorite of mine is by Ancient Harvest if you see that brand. 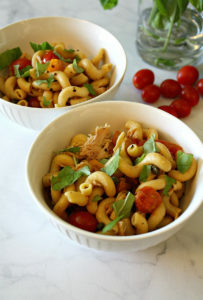 I love using tuna for this Tuna Summer Pasta, because it’s so easy. That helps make this dish perfect for a busy day, which is what I had this week. I made it over my lunch break with time to spare! If you don’t love tuna, then by all means swap it for chicken or shrimp. To make this without adding Parm, I wanted to give this Tuna Summer Pasta a heartier feel. So I sautéed peppers, garlic, and tomatoes so they caramelized and added a great, smoky flavor. It’s all about dimension, and figuring out ways to layer flavors so you don’t think you’re “missing” that cheese. The pasta, tuna, and veggies get tossed with some capers, EVOO and salt and pepper so it has a slight sauce but not heavy. Then I topped my pasta with fresh basil, and dug in! 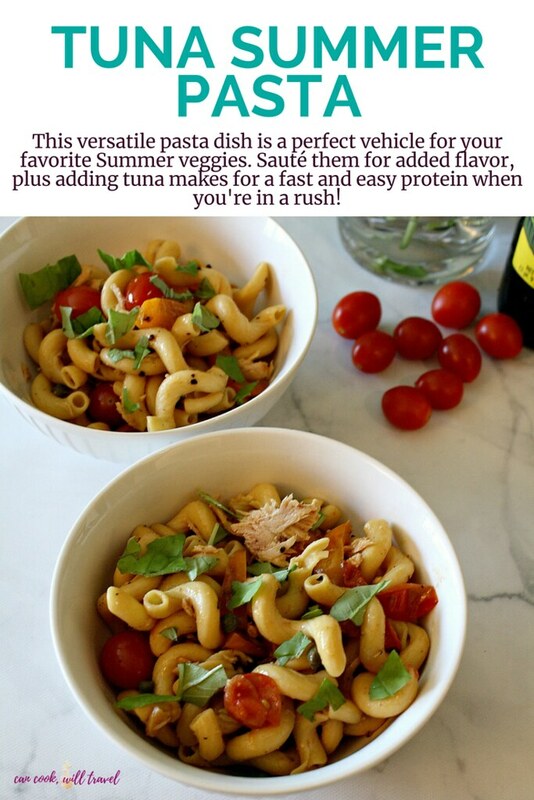 What’s fun about this Tuna Summer Pasta is that you can customize it with your favorite pasta, veggies you have around, and your favorite protein. Although the Banza pasta is packed with protein, so you could probably keep it meat free easily. You’ve got a little sweet from the tomatoes, salty from the capers, and smoky from the sautéed veggies. 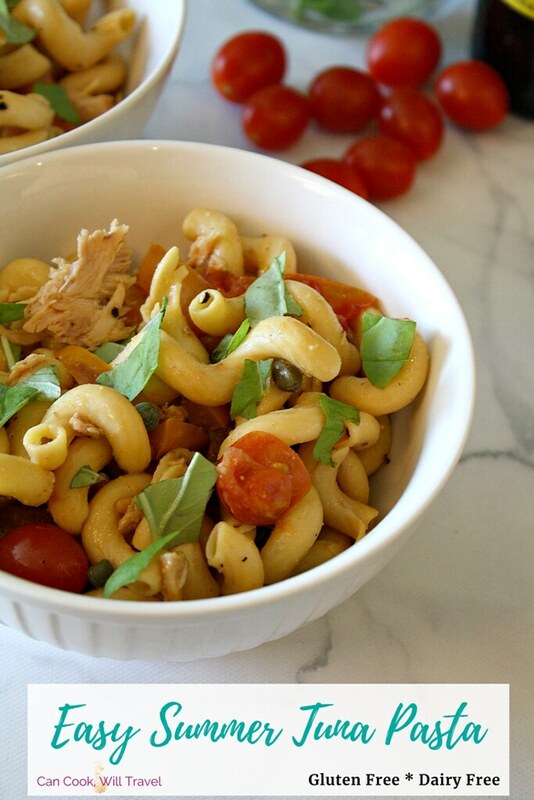 So Tuna Summer Pasta really does round out all the flavors. 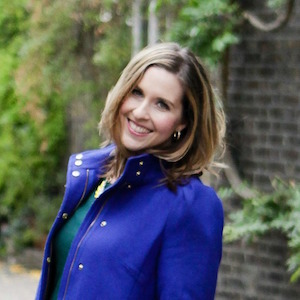 I enjoy making easy meals, because it illustrates the simplicity of healthy cooking. Next time I may try a different pasta or add a little Parm, or keep it as is. Either way I know that this Tuna Summer Pasta will be fabulous, so you probably ought to make it yourself. For a quick and easy weeknight meal, click that link for the recipe and step by step photos. Use up all of your fresh veggies this summer with a pasta that is versatile and healthy. Begin by cooking your pasta according to package instructions, and then heat a skillet over medium heat. Add 1 T. of EVOO or your favorite oil to a pan and add the peppers and garlic. Once they’re browning, then add the tomatoes. When the veggies are well cooked, then set the pan aside and cover. Once the pasta is cooked, drained, and rinsed, I then used a paper towel to pat it dry a bit. Then transfer the pasta to a large bowl and toss it with the tuna, sautéed veggies, 2 T. EVOO, 1 T. capers, and then salt and pepper to taste. Serve right away with fresh basil and then enjoy! Two years ago: Say Hello to BLT Avocado Spring Rolls! Four years ago: Creamy Pesto Chicken Tortellini Saves the Day! Six years ago: Couscous with Flavor…I Can’t Believe It!